A step-by-step tutorial about how to create a weathered wood look using only paint and wax. In usual fashion on this blog, paint is the hero of today’s plot… just in case you thought for once it might be Superman for a change. While I’m at it, I should probably introduce you to the damsel in distress. Yep. I sure did. But if it makes you feel better, it had a couple of dents and dings. I stumbled across this black beauty at a consignment shop in Charlotte for $160 last week! And I probably could have haggled for a little less, but I went all spaghetti-noodle-legs the minute I saw this table. Do you see those oh-so-gorgeous legs? Ah! I knew I wanted a weathered wood look on this table’s pretty shape, but I was not at all looking forward to stripping paint and wasn’t even sure of the condition of the wood underneath. So paint came to the rescue! I’ve used this method several times now on our laundry hamper and office supply organizer and I still can’t believe how simple it is, but it works! Just give your piece one or two coats of the Coco paint. This was after the first coat, and though it’s hard to see in this shot, it still had a little bit of black showing through. I like to give each coat a quick sanding after it’s dry to get it extra smooth. Once it was dry after the second coat, I rubbed the entire piece all over with the dark wax. 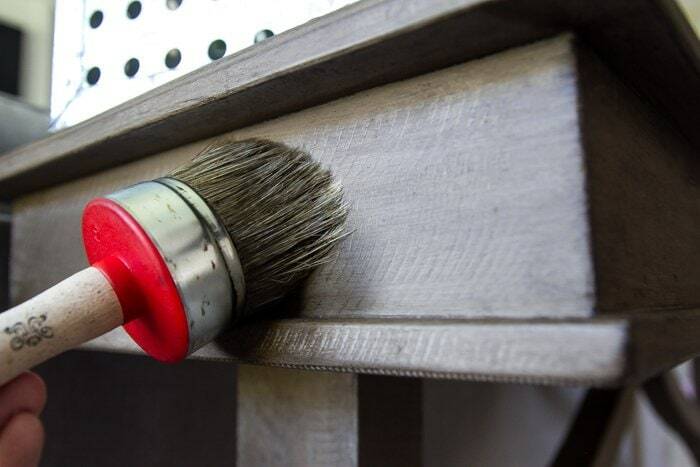 When you put dark wax directly on top of chalk paint, it appears much darker than if you applied a clear wax first. I brushed on the dark wax very liberally and worked it into the grooves with the wax brush until it was smooth and even. It’s almost like painting it on. Just make sure you work in small sections at a time as wax can dry fairly quickly. That was it! So quick and easy. And thankfully, I didn’t have to spend hours in my garage scraping stripping goop. My camera is on the fritz this week, so my photos in this post don’t at all do this pretty little table justice. It looks so much more like weathered wood in person and has a Restoration Hardware look. I love that the wax gives it a bit of an aged look. Now that we have this adding some interest to the back of our couch I’m inspired to maybe move some things around in the living room… like that TV. This space definitely feels much more cozy and more complete now, and I love that it’s created some separation from the kitchen while still being open. PS: I pinky promise I haven’t forgotten about the office, kitchen, and master bedroom. Things are happening, very slowly but very surely. PPS: Here’s my DIY faux fireplace and DIY window trim tutorials if you’re in the mood to jazz up your own living room. 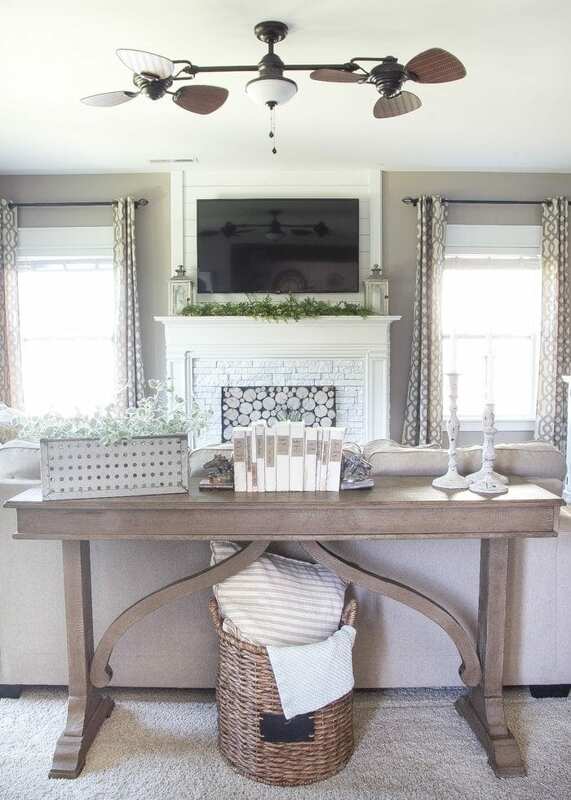 PPPS: I just wrote an article for Angie’s List about how to style your fireplace mantel for every season, which you can see here. Got any furniture makeovers of your own happening now that yard sale / flea market season is here?! I would love love love to see them! « DIY Floral Door Basket and BIG NEWS! I think it looks better than the black. so no shouts at my end.. :)) I love the style of the table and the color is amazing I have a table I may try with this. Great Job!! I haven’t been a fan of the dark wax. Until now. Your piece is gorgeous. So thankful I didn’t give my can of wax away :). You are very creative – thanks for sharing your creativity with us! I have to agree, I hadn’t found a good look with the dark wax, but this blew me away..exactly the color of finis I have been looking for!! This turned out beautiful, Lauren! And those legs are amazing. Such a great find! I just stained a desk yesterday!!! I am going to sand it down and try your idea instead! That is so pretty and just the look I wanted! Thanks for sharing. What great timing! Glad it came in handy then! I will say, for a piece of furniture that will get more wear and tear, you might want to use this method I did on our dining chairs instead: https://www.blesserhouse.com/2014/11/knock-off-no-sew-dining-chairs.html You can paint it with the Coco color, then follow it with a walnut stain gently wiped back to reveal some of the Coco underneath, and seal with polyurethane. That way it will have some extra protection. Just what I need for my dining room chairs…..been trying to figure out how to make coco less boring…..thanks for sharing this….. Question? Why does the table look so smooth in the before and rough cut with the coco on it? It’s my favorite! By itself I totally agree. Coco is boring. It’s great for laying though. The table actually had a rough cut look before you just couldn’t see it with the black, so the weathered wood look helped accentuate that. If you’re wanting to do this on dining chairs, I would maybe use this method instead though: https://www.blesserhouse.com/2014/11/knock-off-no-sew-dining-chairs.html Coco followed by walnut stain and sealed with polyurethane. The finish will be more durable with regular wear and tear that way. This is such a blessing! I was searching the internet over the weekend for “how to paint to look like wood” because i have a coffee table that i have already painted twice. It has a thin veneer on the top so i couldnt sand it down to the bare wood. This will be just right! thanks for sharing – it looks great! What great timing! Glad it came in handy then! I will say, for a piece of furniture that will get more wear and tear, you might want to use this method I did on our dining chairs instead: https://www.blesserhouse.com/2014/11/knock-off-no-sew-dining-chairs.html You can paint it with the Coco color, then follow it with a walnut stain gently wiped back to reveal some of the Coco underneath, and seal with polyurethane. That way if people put their feet up on it or set a drink down, it will have some extra protection. Can I put put polyurethane over dark wax or should I use walnut stain instead of dark wax? Definitely go the stain route if you want to put a polyurethane on top. Once wax is applied, you can’t put a sealer coat on top or it’ll create quite a mess. Like Moriah, I haven’t been a fan of dark wax either. But now I know that, with ASCP in Coco (or another brand that is easier for me to get, ahem – no offense) that the dark wax looks great. 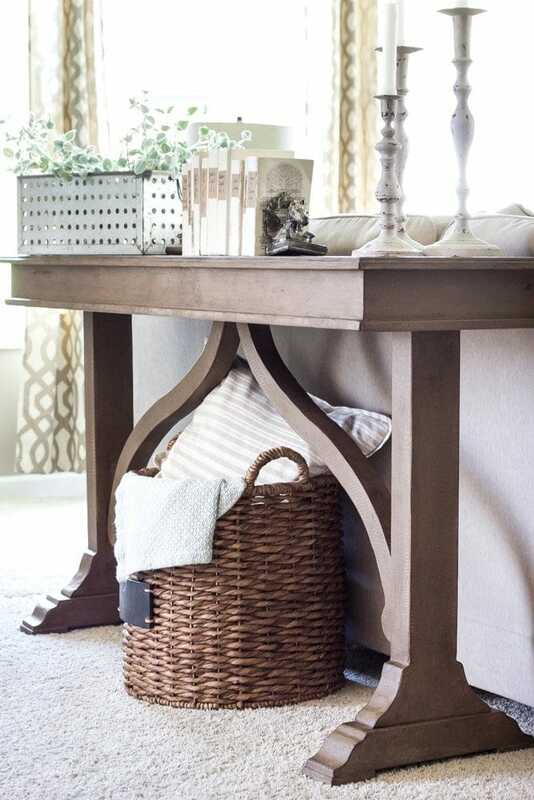 Thanks for sharing – that table was one good find! Glad it could help, Barb! If you want a cheaper alternative, Valspar Montpelier Ashlar Gray is a color very similar to the Coco. You can just get a quart of it in a flat sheen and it’s about half the price of ASCP. Awesome! Glad it could give you a little inspiration, Colleen! And thank you SO much for the blog love! I had to giggle at the “blogging Mayflower”. It’s so hard to keep up with how quickly this blogging world evolves every day. Virtual high-five to you??. Your table is beautiful! Love your blog! Just found you and Love, Love, Love you and your projects! Your table is Beautiful, thanks for sharing it with us. I can’t believe what you come up with. My brain just doesn’t function like yours. 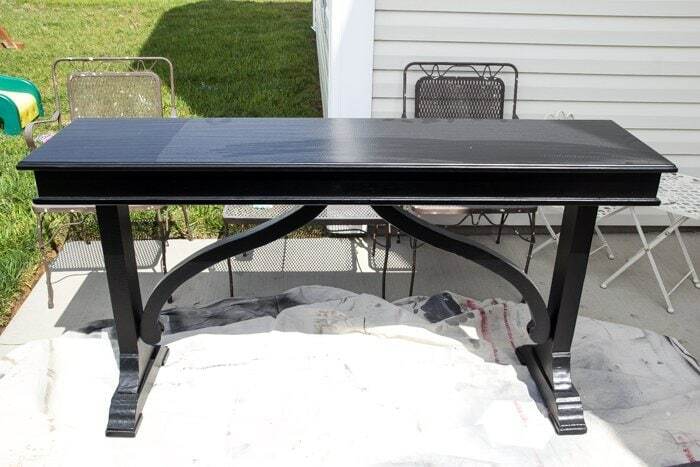 I’ve always and ONLY used dark wax on darker paints as I’m terrified to ruin my piece.. but you seriously turned that sofa table into such a envied piece. It’s SO stunning!!! I’m going to try this method tonight on my current side table. I use Fat Paint Chalk Paint. It’s amazing – you should try it! Does the table have a makers mark? I would love to find one like it. I can’t find one unfortunately. If I ever do find the maker, I’ll definitely share! It turned out beautifully! Could this method be done on a dining table? Excuse my ignorance, but would it be durable for everyday use and does the wax make the finish sticky? Thank you! Hi. Love what you have done with the table. I want to do this on my dining table, do you think it would hold up? We use place mats. It’s not a forever table, just using it until my husband makes one. Love this look. I think I know a piece that I’d like to try this on. Awesome! Glad it could help! Yay! So glad it could come in handy. Hope it turns out well! That is so great!!! I actually use socks all the time for wax, especially clear wax. I will say, you might want to do a polyurethane on a table top you eat off of instead of wax because the wax can rub off, especially with drink glasses and hot plates sitting on top. I love, love what you did! Super beautiful!!! Do you think having the black base color beneath the ASCP Coco contributed to the overall finish? I’ve got an Asian ALine Cabinet that I’d love to do this treatment on but it’s a mahogany stain that I’d rather not see in the finish. Any suggestions or do you think it will be okay just starting as directed? No, I don’t think the black really contributed any change to it. I painted it with two coats so that none of the black was showing through and didn’t even sand it to distress and show the color underneath. You could really use it over top of any paint or stain color. I would rough it up just a little bit with fine grit sandpaper in case there is any residue like wood oil on it just to be safe. You absolutely transformed that table, it looks beautiful! I would love to install a wooden (kitchen) countertop and use your technique to achieve that great color–can you seal it for use in a kitchen? Thank you, Sheila! (And I love getting comments! Please write more often!) I really wouldn’t do this on a countertop as I don’t think it could stand up to the heat, moisture, and scrubbing. And unfortunately, you can’t seal over wax with poly as it becomes a big gummy mess. This technique is better used for furniture. 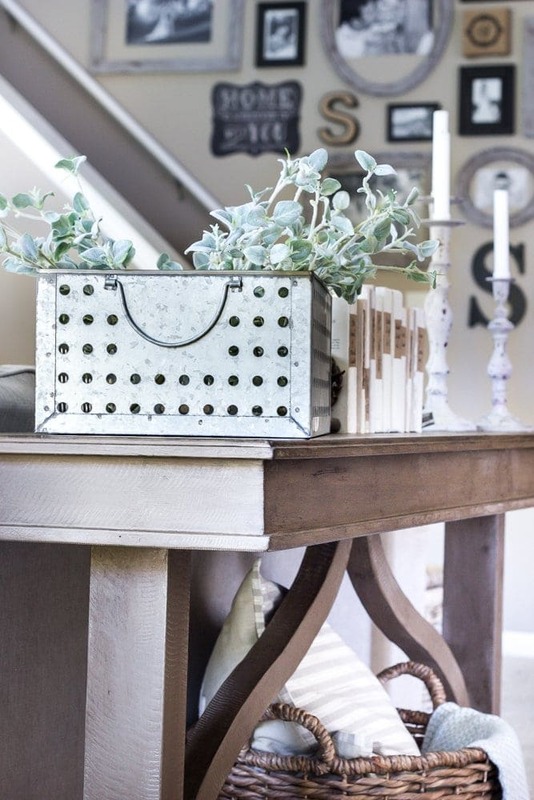 Love the look of this piece…did you rub in the dark wax after applying? I have seen other tutorials which shows the dark wax needing to be rubbed in, but wasn’t sure if you did that for this look or not. Thank you so much for sharing. Hi, Kris! Yes, I rubbed it in but it does dry very fast. You can get a more faint look by using clear wax over the paint first followed by the dark wax if it’s too much contrast. Did that piece have grooves already or did the chalk paint do that? 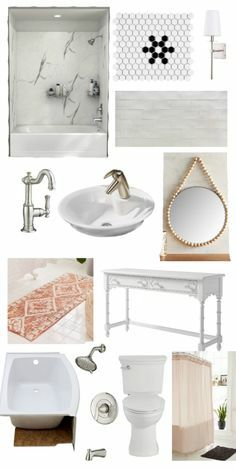 I am wanting to create this look on a wooden piece that has been painted white. Some parts have a thin laminate. Would the chalk paint work on that and would it give the same color finish if the surface is smooth with no grooves? Yes, the piece already had the grooves in it. It was just hard to see when it was painted black. All the more reason I felt like it needed to have a weathered wood look. 🙂 As far as I know, the chalk paint should work on laminate. I’ve used this same process on a smooth piece too, and it still had that pretty weathered wood look. Just make sure to wipe the wax in the same direction to give it a bit of a wood grain look (not a circular motion). You are a genius! I have a black bed that I’ve been wanting to change. I was searching the net for a way to get the weathered look over black furniture. You have done it and amazingly well. I am a long-time AS user and lover! Thanks for giving me the answer. Yay! So glad it could help, April! Hope it turns out well! I am also using the Coco with Dark wax for my dining table. What should I use to seal it? I have two small kids that make a huge mess! Hi Isa! The wax actually acts as a sealer itself and you don’t want to put a polyurethane or polycrylic on top because the wax will prevent it from setting. If you have two small kids making messes at the table, I would avoid using wax just because it can get scratched up and liquid spills/condensation on glasses can cause wear on the wax finish. 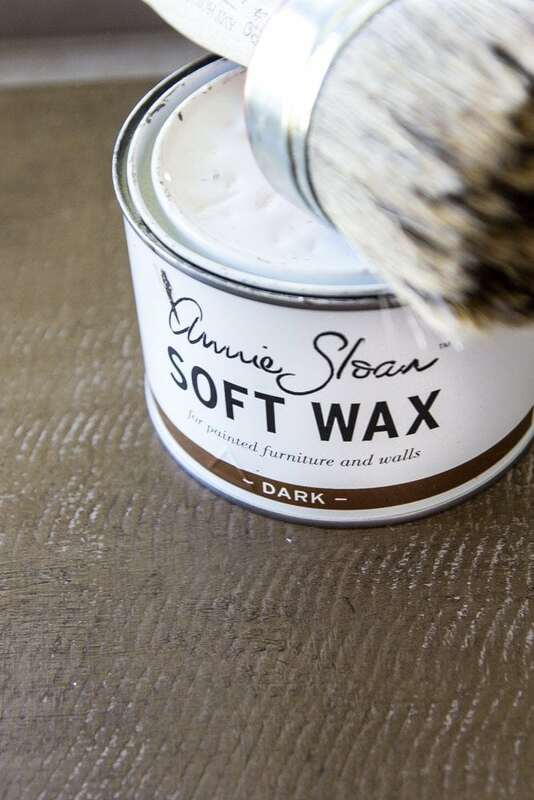 I have a 4 year-old, but I just used this wax finish on a sofa table that doesn’t get any wear and tear from her. 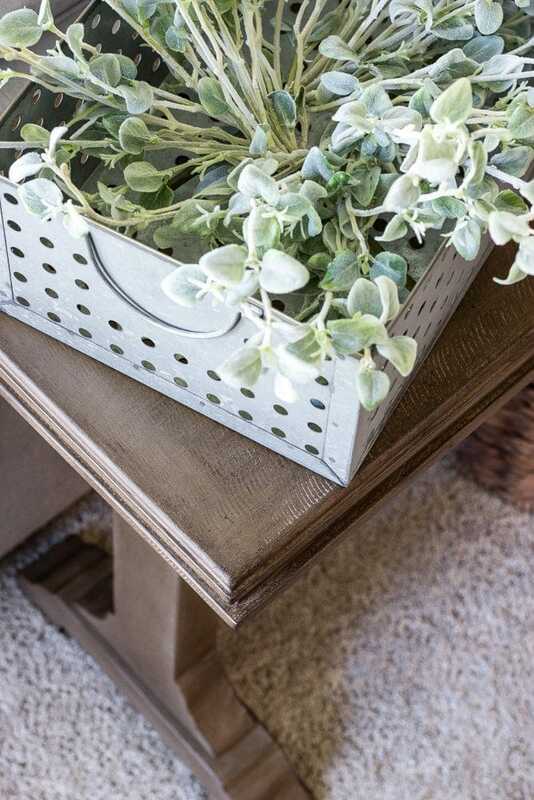 Your better bet might be to paint with the Coco chalk paint, let dry, and apply a couple of coats of stain on top, then seal with a polyurethane for the best durability. 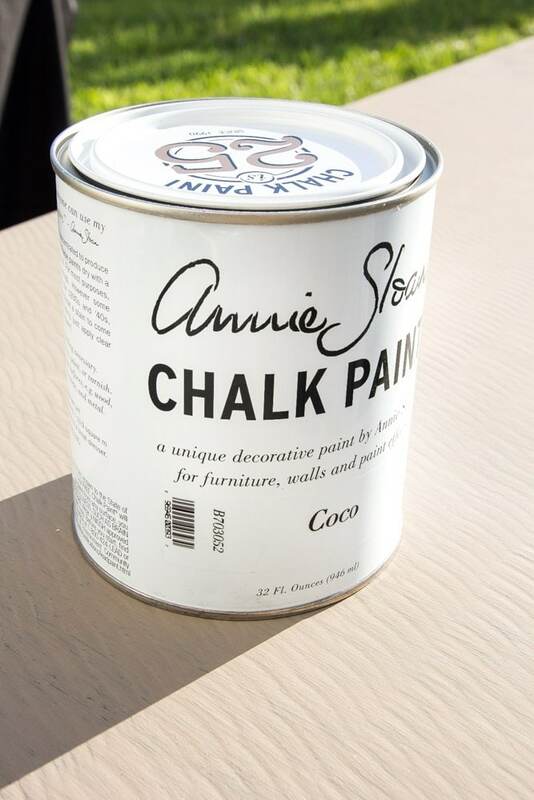 Here’s a post about how to stain over chalk paint if you need some pointers: http://www.vintagecharmrestored.com/2013/01/1156.html It won’t be exactly the same but the finish will still be very close to mine. Hi, love your designs and this one is perfect for a project I have been “sitting on”. I am wondering if the wood on this table was textured or smooth when you started. It does look smooth some places, but the top definitely textured. My piece is a black wood mantel with a glossy finish. It has no texture at all. Would your process also work on this? Thanks, Julie! The table actually already had a texture to it, so I’m afraid if you have a smooth table, it won’t have that same look. But it does still end up looking like weathered wood. Hi Lauren!! 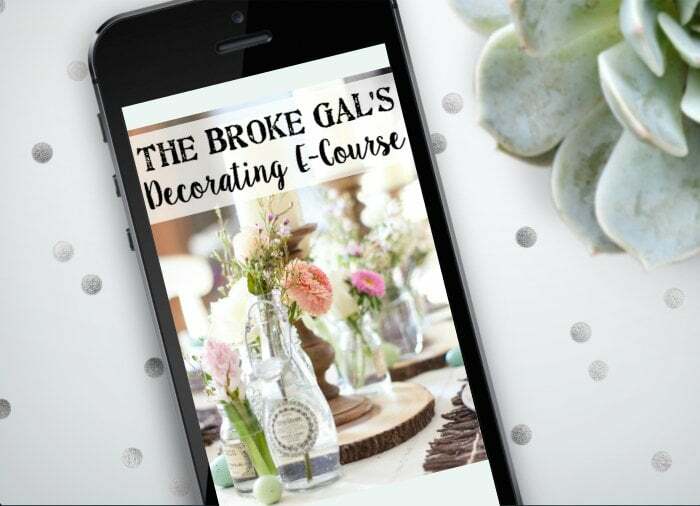 I discovered your blog at the beginning of the year when I became a lover of modern farmhouse decor….Your decorating skills are amazing! Love, love, love everything you do! I could really use your direction in regards to finishing 2 pieces my husband built for me which are beautiful but not being used our home since we can’t get the finish right 🙁 He built a shiplap headboard/footboard for our bed as well as a shiplap buffet with old farmhouse boards (matches our dining table he built ) as the top. I tried to finish both with chalk paint and an antique wax but the knots keep bleeding through and they don’t look antiqued at all. 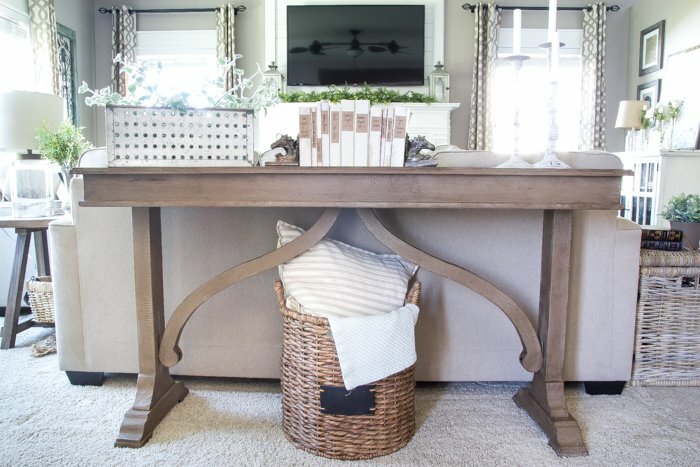 Definitely not the driftwood/reclaimed look I want …Should i use the products in this post for the dining table and buffet top? 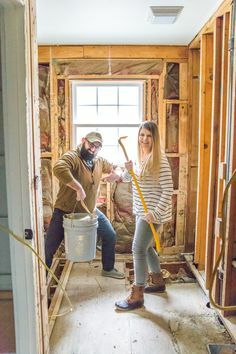 What should i be using for the white shiplap pieces?? My husband wants to take them to a professional painter now but I asked him to let me send you email to ask your thought! Thank you!!! Oops! I think I missed this comment before and just responded to a different comment from you about it. To help with the bleeding, you can apply a thin coat of shellac on those spots and that should prevent it from happening anymore. After the shellac, apply a new coat of the paint, and that should do the trick. And for a dining table top, I would paint, then stain, and finish with a polycrylic since wax could break down after regular wear and tear. Hello, I love this table! From reading some other comments I see you recommend using stain instead of the wax for a dining table. Do you recommend a gel stain? And any other pointers for using the stain over the ASCP? Thanks so much! Thanks, Madison! Yes, you could definitely use a gel stain if you preferred. I would seal it with a polycrylic after to protect the finish. Hi! I’m curious how you applied the dark wax? I’ve been wanting to try it but nervous! I how did you get the light cream looking grains to show through on the top of the piece? Your work is beautiful!! Normally, you would rub the wax on and buff it off with a rag, but for this piece, I practically painted it on in a very thin coat in circular motions with a wax brush. The grain is showing mainly because of the texture of the wood on the table. So if your piece is textured, the wax with accentuate that. Have you used any wood stains that you like that would create this kind of look? I haven’t used chalk paint before, but I have heart it can be expensive, so that will factor into my decision as well. Hi Amanda! I will warn you now, if you have no experience making over furniture, you definitely want to avoid the paint stripping process. I’ve done it a couple of times and it was a nightmare and took several days of strenuous work. And once I factored in the cost of stripper, scraper mask, chemical gloves, stain, sealer, etc., I could have just painted and had it done in an hour or two. So I would definitely go the chalk paint route since it’s great if you’re a beginner. 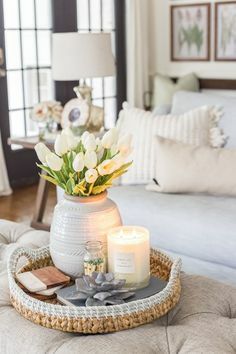 Usually a quart of Annie Sloan is around $38-40 in my area, but that one quart goes a long way and covers usually two pieces of furniture for me. But you can also make your own chalk paint using regular flat paint if you want. Here’s a recipe: http://www.diynetwork.com/how-to/skills-and-know-how/painting/make-your-own-chalk-style-paint To get this weathered wood look on a coffee table, since it typically gets more wear and tear with people putting their feet up and drinks being sat on it, I would use the Coco color paint followed by a coat of walnut stain, and sealed with a polycrylic. Hi, gorgeous table! Much better than the black. 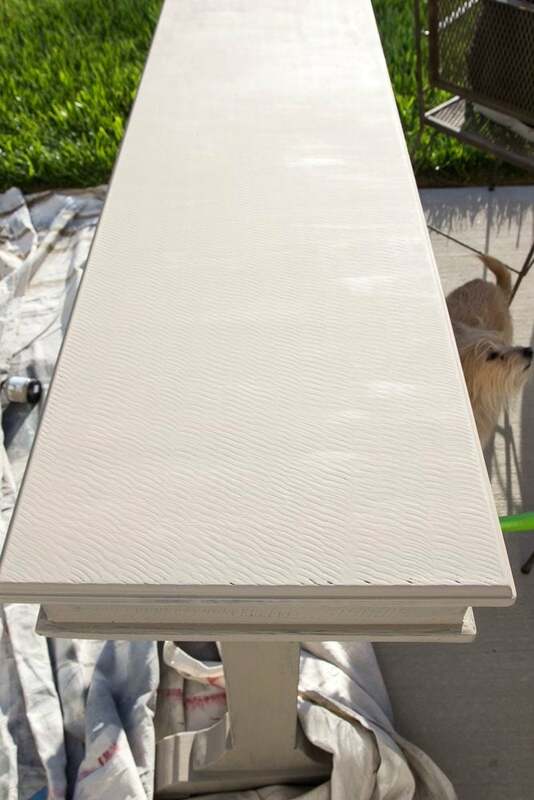 Did the table already have the ridges/texture? Thanks, Crissy! Yes, this table already had some texture to it, but I’ve used this technique on smooth surfaces too and it still looks great. I LOVE this finish, and the one you did on the chairs as well! Can’t wait to find the right pieces to try out both of these methods. I found both projects through Pinterest, and am excited to look through your website and see the other projects you’ve done. Oh, wow! That looks great, Sara! This piece is absolutely gorgeous. I am getting ready to do the same to an armoire. I have to ask though…is this really only coco with dark wax? I think I see some white peeking through or some other color. It just looks like it has so much dimension that it cant be that easy!! I hope so, though! I didn’t like dark wax finish…until today. Lauren, it looks gorgeous! Thanks for sharing this amazing idea! I’m about to try this out on my old dresser sitting in the garage. But since it’s a dresser and I guess we’ll be using it as a piece of storage furniture at the dining room, I think I want to put a top coat/sealer over it. Can you recommend anything? I was thinking about Zinsser 123, do you think it’ll work on the top of the wax? Thanks again Lauren! Omg, I’m impressed with those chairs! 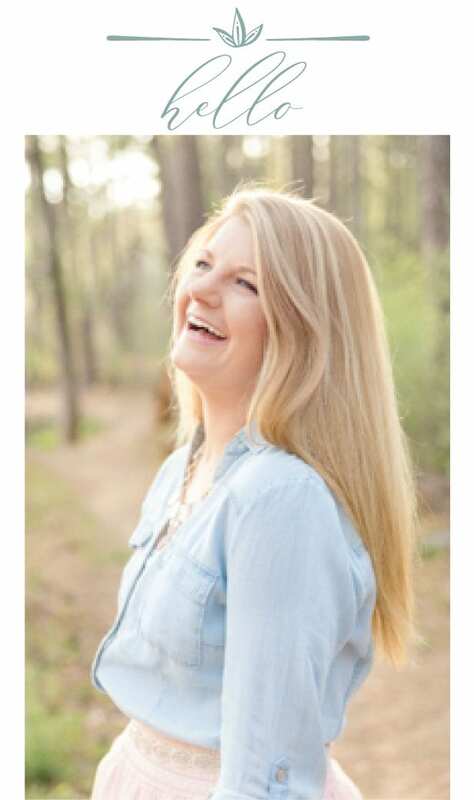 In love with your blog, definitely saving it to my faves! It is a stunningly beautiful table! The legs are a wow factor for sure! Your paint transformation is excellent! But the basket with the pillow..? Not so sure.. maybe looks like you stuck your laundry under there! ? But the table is gorgeous! I’ve always loved this table! Finally found it (albeit not as nice a price 😉 ) on joss and main, called the Melanie Console Table! Oh. My. God. I LOVE it!!! That’s exactly the look I want to be able to get with chalk paint! Did you wipe any excess wax off or just leave it? I have Coco paint and dark wax and plenty of garage sale goodies just waiting for your reply!! ? Oops! Me again!! I was so excited by this piece I didn’t get to the comments before I commented! Lol I see where you said you did wipe off the excess wax. Thanks for the awesome inspiration! I’m headed out to the garage to decide which piece I’m going to try this on. I did a drop leaf table in Coco and dark wax and I love it but I used clear wax underneath the dark which gives a totally different look. I can’t wait to try to achieve the same results you got on your table. Thanks again! Hi there! I love this technique. One question: after applying the dark wax, did you rub it off like you would when applying over clear wax or do you leave it to dry without removing any? Oh. my. gosh!!! I love, love, love this piece of furniture! It looks so great! I think you did this kind of treatment to a cherrywood sleigh bed because I have the same bed and I wanted to do it. ill haven’t but I love how you make this look so easy. Looks like you did this post awhile ago, but I’m just seeing it now. lol. Love all your ideas. great job! Once you apply the dark wax all over the piece, do you have to use a rag to remove any access wax? I have been looking for a tutorial that is similar to this and every one is asking to use clear and dark wax. 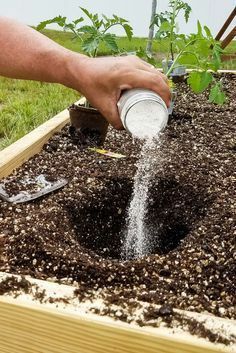 I want to follow these steps because it seems so easy and love the look. Please HELP!! Yes, after I let the wax dry for about 2-3 minutes, I use a rag to lightly buff off any excess. Just be sure you put on a thin enough coat that the wax doesn’t get cakey because it will dry to a sticky finish. I don’t use clear wax, for this finish, only the dark wax directly over the paint. Thank you, I hope the piece I plan on tackling will look as good as yours did. Would it matter if the piece of furniture I have is originally brown? I noticed your table was originally black. Sorry for all the questions. For this process, I don’t wipe the wax off, but I rub it in with the wax brush so that there’s not any excess. If you leave a thick wax layer, it will feel sticky. I’d test it on a scrap piece of wood so that you can get a feel for it before putting it on furniture. You can get a similar effect using gel stain over paint too though and seal with polycrylic. I like to use that method instead on dining tables and coffee tables because they generally get more wear and tear and the stain/polycrylic stands up to abuse better. Is there a huge difference between these colors? Do you prefer one over the other? Which color provides a more weathered wood look? They’re both very close to the same shade and either one will yield weathered wood results. 🙂 I just used the French Linen ASCP on the headboard because I didn’t have any Fusion Mineral Paint on hand. I can buy ASCP in my town, but I have to special order Fusion. Hi! Can you just explain how you did the dark wax a bit more? Like did you put the dark wax all over the entire piece and rub it in with a cloth? Or put it only in edges and spots of the piece? Did you just use the brush to rub the wax in and no cloth? Thanks! Hi Brittany! I work in 1-2 sq ft sections usually because the wax does dry in a matter of minutes. I dip my wax brush in the wax so it’s well covered and then start rubbing it into the dried chalk paint finish. I press it in as hard as I can in circular motions and spread it out so that it’s just a very thin layer of wax. I just use the brush to rub it in. And then after 2-3 minutes I use a rag to wipe away any excess. Hey there! 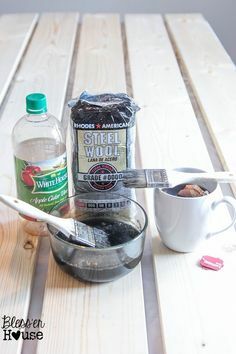 I’m buying the wax to use this technique on a pair of nightstands, and I’m not sure how much I’ll need! How much dark wax did you use on this table? I’ll need roughly the same amount.